One of the world’s premier DJ expos, BPM | PRO, is to take place once again at Birmingham, UK’s NEC this year from 11-13 September. With a new location within the NEC to offer exhibitors more space and better access for visitors, CHAUVET DJ is gearing up to showcase some of its latest and most exciting products to an expected crowd of 10,000 DJs and budding musicians. This year, the CHAUVET DJ stand (AF14) will be full of a whole host of exciting new fixtures, as well as a wide variety of industry favourites such as the Intimidator Hybrid 140SR, FXpar 9, EVE E-100Z and Intimidator Wave 360 IRC. 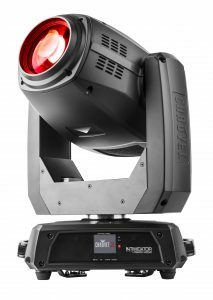 The new Intimidator Hybrid 140SR is a powerful all-in-one moving head fixture th at morphs from SPOT to BEAM to WASH effortlessly. 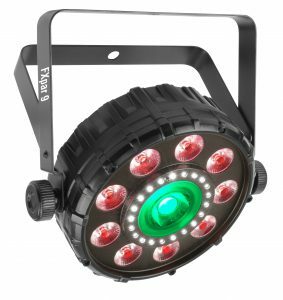 Fitted with an intense 140W discharge light engine and motorized focus, it projects crisp beams and gobos at almost any distance. The Intimidator Hybrid 140SR‘s two overlapping independently controlled prisms create dynamic beam effects. While dual gobo wheels allow for gobo morphing and amazing mid-air projections. The motorized zoom works in beam, spot and wash modes for ultimate light control. And control is easy with the full-colour display, IRC-6 compatibility, totem mode and on-board memory for storing a scene. Also on display for the first time in the UK is the new FXpar 9, a dynamic and compact multi-effect fixture. The fixture sports an outer ring of RGB+UV LEDs, a centre LED and SMD strobes, each featuring separate control. Mutable zones allow for spectacular effects via DMX. Sound activation, automated programs, or easy-control via the optional IRC-6 remote also let you easily achieve eye-catching effects. The EVE E-100Z is also a must see! 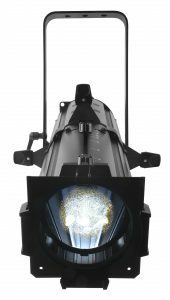 This powerful spot LED ellipsoidal fixture features sharp pattern projection with a 100W warm white LED light source. This versatile fixture works with metal or glass gobos to create incredible gobo or pattern details. The manual zoom and framing shutters make beam control extremely simple. Another great fixture to be showcased at BPM|PRO is the Intimidator Wave 360 IRC. This dynamic effect features four independently controlled 12W RGBW LED moving heads on a single rotating base. With its razor sharp beams, continuous pan rotation, adjustable tilt ranges and infinite colour mixing capabilities, the Intimidator Wave 360 IRC produces the kind of astounding light shows that set you apart from the pack. Up to four units (16 moving heads in all!) can be linked in automatic, sound or master-slave mode. An optional IRC-6 remote can be used for non-DMX control. Further products to be demonstrated on the CHAUVET DJ stand include the Intimidator Trio, the COLORband PIX-M USB and the Swarm Wash FX. If you’re not able to make the show, make sure you check out our CHAUVET DJ Product Tour videos live from the show floor, where we will release highlights on all the exclusive new kit and the tons of popular favourites that will be appearing at BPM|PRO this year!